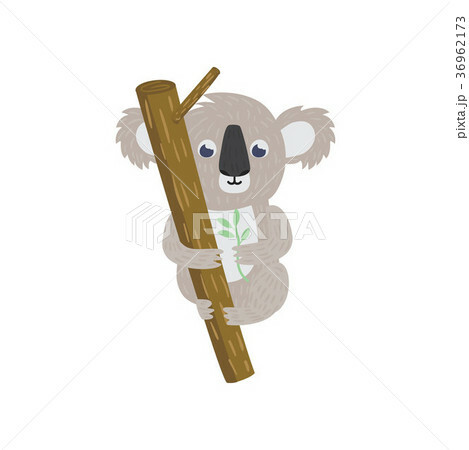 Koala bear on tree branch. Native animal of eucalyptus woodlands. Zoo and wildlife concept. Cartoon flat character. Vector illustration isolated on white. Graphic design for sticker, card or print.